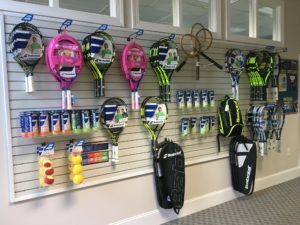 Southern Village Club is proud to be an Authorized Dealer of both Babolat and Wilson products. We stock adult and junior racquets, balls, grips, etc. and offer stringing services. Please contact alec@southernvillageclub.com for more information, or if you would like to test out one of our demo racquets.